I want to introduce the most profitable affiliate program in Forex/Binary Options industry. I'm sure that with us you will forget all the negative effects from affiliate marketing, if you have them. Olymp Trade is one of the major international brokers of binary options. Our trading platform is multifunctional and has a simple user interface. Even those users who were not previously familiar with binary options are able to use our platform easily, thanks to a large team of analysts and 24/7 support. Minimum deposit is only 10$ - it is the opportunity to gain real experience and improve your skills without a big investment. This is why over half a million traders already choose us. 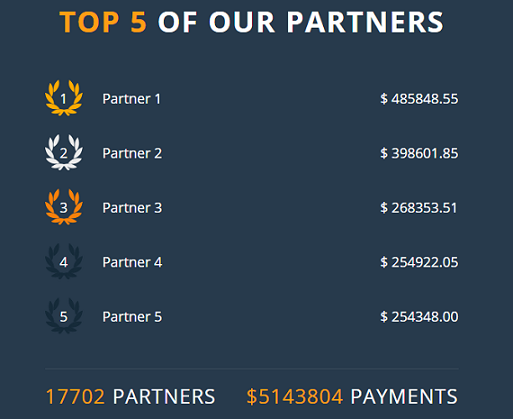 Olymp Trade Affiliate Program allows you to get unlimited income and monthly bonuses of up to $15000 just for the quality of your traffic and attracted traders! We provide all kinds of promotional materials in 6 languages, which can be adapted for any platform. That is why our average conversion rate from registration to the deposit reaches up to 25% for some geos. We will help you to monetize your traffic quickly and efficiently.